Hall of the Mountain King: Review: Seven Witches, "Call Upon the Wicked"
The next few songs take things back to a simpler heavy rock time. The title track opens with a 1970s hard rock flavor that shifts into early 1980s metal with a great chorus hook. “Ragnarock” opens with another grooving ‘70s-inspired lick. Rivera delivers some wicked vocals on the verse, and the band brings it home with another big chorus. Is there some cheese on these two tracks? You bet, but it’s still a lot of fun. “End of Days” is the album’s “epic” track, checking in at just over nine minutes long. It opens with some nice clean guitar work from Frost, which leads into a classic traditional metal riff. The verse lopes along with Rivera trading vocals with an unnamed (at least in the information that I have with the promo) female vocalist. There’s a nice interplay between the two that I really like. The song does get into an almost painfully weird section about five minutes in where Rivera’s vocal melody and delivery are a little goofy, but putting that 30 or 40 seconds aside, it’s one of the better tracks on the record. The final new song on the record is a cover of Cream’s “White Room.” It’s more or less a faithful cover of the song, just crunched up, and I find Rivera’s over-the-top vocals a little distracting. As far as metal covers of “White Room” go, I much prefer Jon Schaffer and Hansi Kursch’s version with Demons & Wizards. 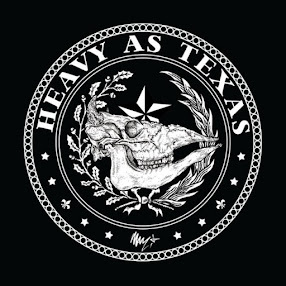 The album ends on a strange note, with live versions of “Metal Tyrant,” “Metal Asylum” and “Jacob” that sound more like a bootleg than a professional recording. They really don’t add anything to the record. Frost is, as usual, on top of his game. He delivers some solid riffs and shreds all over the place. Rivera’s performance here is uneven, sometimes pushing things a little too much instead of just singing the song. It’s not nearly up to par with what he did on Helstar’s Glory of Chaos earlier this year. Bassists largely go unnoticed, but Michael Lepond gets a shot in every now and then, and drummer Taz Marazz lays a solid base. Of course, the lineup of the band has already changed since the release of this album, with Rivera leaving and Alan Tecchio returning, and Paul Marciano replacing Marazz on the skins. Such is the way of the one-man-show acts like Frost’s, and it’s probably the reason that their catalogs are so inconsistent. 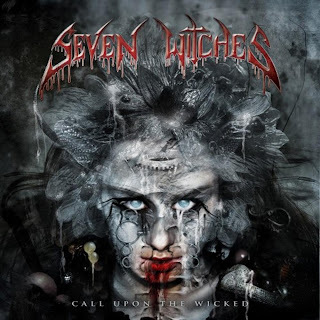 In the Seven Witches discography, Call Upon the Wicked ends up right in the middle of the pack. It’s a solid, enjoyable record for fans of traditional heavy metal, but there’s not much of a wow factor.